Star Wars VIII - The Last Jedi (2017; Now in Theaters) - The evolutionary arc of the Skywalker dynasty continues with a second major tetra-evolutionary cycle (inner and outer selves, cultures and systemic forces) following the Skywalker lineage and their world through their evolutionary arcs. This latest installment of the saga has some major twists in the evolutionary arcs of both the characters and the greater and deeper archetypal patterns, including the challenging of the duality between the dark and Light Forces toward a more mature and complex understanding of the ultimate non-dual nature of the Force. We also witness the healing of Luke's major regression and primal wounding from his past and his conscious transition into the Kosmocentric Witness. Dunkirk (2017; Now On Demand and Disk) - "Dunkirk" is a masterful representation of the integral mind at work. According to integral philosopher Jean Gebser, the main impulse of the Integral structure of consciousness is to concretize all dimensions of being and becoming and attempt to integrate them into a meaningful whole. With this film, filmmaker Christopher Nolan has given us an experientially powerful "integration" of the multiple strands of existence within a specific historical event that includes the subjective, objective, relational and systemic aspects of the event and the varying temporal realities that unfold in relation to different perspectives on the event from these multiple dimensions of being and becoming. Through this process Nolan gives us a simultaneously simple and complex emotional, visceral and existential experience that concretizes and integrates the event into a whole that is way beyond the sum of its parts. Blade Runner 2049 (2017; Soon On Demand and Disk) - A haunting and beautiful sequel to a cult classic that deepens and expands the Blade Runner universe to include elegant and complex evolutionary arcs for the main character, his cyber-lover and their relationship that transcends the boundaries of human death, digital eradication and the notion of what constitutes sentient existence. American Gods (2017; Starz Network) - This Starz cable series personifies various stages of evolutionary development in the form of the Gods we create and project at those stages, exploring the possibility that consciousness precedes our reality and that we create our world and even our Gods. This well crafted exploration has the potential to give the viewer a potential experience of stepping back and witnessing the different stages of development in ourselves and our world. Rogue One (2016; On Demand and Disk) - "Rogue One: A Star Wars Story" is a wonderful addition to the Star Wars universe, deepening and expanding it's integrally-informed evolutionary arc while also portraying a unique evolutionary arc for its main character, Jyn, who's developmental arc is repressed until re-connecting with her father through a hologram that triggers the release of the repressed forces within her and propels her forward till she faces her mortality with a glimmer of Kosmo-centric awareness. Westworld (2016--; HBO Network) - HBO's brilliant and multi-layered remake of the Michael Creighton 1973 sci-fi movie about an adult AI amusement park gone astray. In this new cinematic journey, the nature of consciousness and its evolution is viscerally explored as the human's are forced to deal with their loosing touch with their own humanity while the AI's are on the cusp of their own great evolutionary awakening. The Lego Movie (2014; On Demand and Disk) - A fun and surprisingly deep animated film based on the Lego universe that follows it's main Lego character's evolution from archaic unconsciousness to Kosmo-centric awareness and action as he transcends the boundaries between the Lego world and the human world. Game of Thrones (2011--; HBO Network) - Epic groundbreaking series integrating the reimagining of deep mythic and magical archetypes, the tracing of the emergence of rational and pluralistic cultural constructs, and the mapping of evolutionary story arcs with glimpses of a bigger picture from a Kosmo-centric perspectival field. This masterfully executed synthesis creates a vast yet intimate multi-layered visceral experience of the human quest for power, for meaning and for goodness. Black Mirror (2011--; Netflix) - "Black Mirror" is a brilliant and haunting series in the "Twilight Zone" tradition that puts the audience in the Kosmo-centric witness seat to bear witness to the evolutionary gap between the evolution of technology and the evolution of individual and collective human consciousness. Some episodes, like "San Junipero" give us a full evolutionary arc while others take us to various evolutionary inflection points in a projected not-to-distant future. Diva (1981; On Demand) - "Diva" is a French cult film classic from the early 80s that integrates European and American cinema conventions into a hip uniquely styled hybrid Comedy-Thriller-Romance-Mystical tale. As we go along for the ride of this zeitgeist capturing film, the camera moves the audience from the deeply personal and emotional to the intellectual and philosophical to the big-picture, overview, and kosmo-centric witness position. The young male lead character evolves from ego-centric to ethnocentric to socio-centric circles of care and concern while he navigates through a maze of life threatening and existential "challenges," helped by an older street-wise cosmopolitan kosmo-centric holy man. The Twilight Zone (1959-1964; On Demand and Disk) - This classic anthology television series explores the further reaches of our inner and outer world within a Kosmic-witnessing frame for the viewer. We are put in the observer seat at the beginning of every episode through the shows opening that includes both visuals and text spoken by the host and show creator, Rod Serling. And as we observe, the stories, visuals and soundscapes they shift us into and out of the observer, witness position and into deeply subjective experiences and expansive existential and philosophical reflections. When you combine the witnessing framing and the expansive reflections you get a taste of the Kosmo-centric Witness perspectival field; in many episodes we, the viewer, can have the sense that we are glimpsing a big picture so big it is beyond our comprehension, that there is a meaningful pattern to it all, to all the dimensions we are observing and the multiple layers of hidden dimensions just beyond our reach, and that there is a much greater intelligence at work. 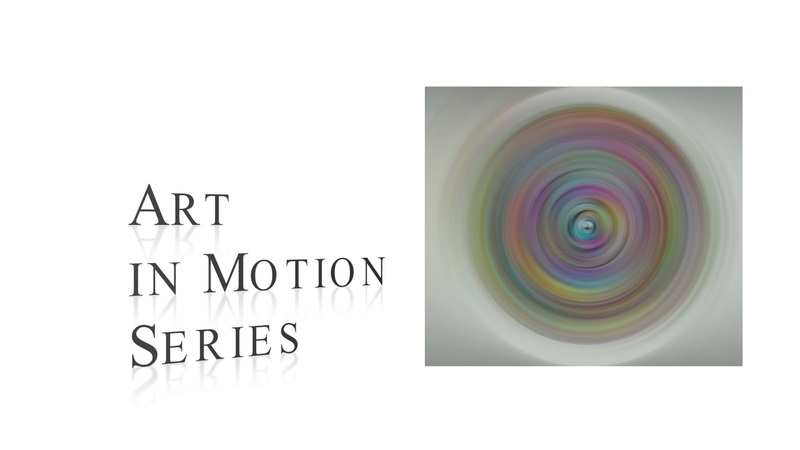 The Integral Cinema Project announces the ART-IN-MOTION SERIES, a collection of moving image meditations that attempt to use advanced audiovisual and cinematic entrainment technologies along with animated abstract art to explore the human perceptual field. The intention behind these works is to potentially induce shifts in our awareness of our own perceptual field and bring the normally unconscious perceptual construct-forming system of the human mind to conscious awareness. ICP cinematic artist and researcher Mark Allan Kaplan attempts to morph one of his artworks into a transformative cinematic meditation using an adapted form of the "Cine-Sculpture" approach developed by ICP research associate James Lusero and combines it with Integral Cinematic Metadesign techniques to synchronize visual, auditory, textual and temporal expressive forms with an underlying transformative perceptual and conceptual field. 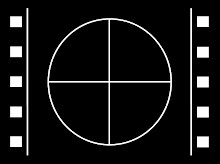 We would like to acknowledge the works of the following individuals and organizations who inspired and laid the foundation for the approaches used in these cinematic works: Integral Cinema and Cinéma Pur pioneer Germaine Dulac; cinematic Montage and Synchronization-of-the-Senses developer Sergei Eisenstein; Filmic Expression pioneers Slavko Vorkapić, Lestor Novros and Bruce Block; Visual Music innovator Jordan Belson; state of consciousness cinematic induction trailblazers Dorothy Fadiman and Ken Jenkins; cinematic creation state explorers James Broughton and David Lynch; audio and visual brainwave entrainment pioneers, innovators and explorers Pierre Janet, Arthur Hastings, Robert Monroe, Dr. Jeffrey Thompson, Kelly Howell, Eric Thompson, iAwake Technologies and Subtle Energy Sciences; the integrally-informed metatheories of Ken Wilber, Jean Gebser, Edgar Morin and Sri Aurobindo; the consciousness hacking innovations of Mikey Siegel and fellow explorers of the Consciousness Hacking movement; and the integrated transdisciplinary “Cine-Sculpture” explorations of Integral Cinema Project research associate and multidisciplinary artist James Lusero. I have been asked by several people what the origin and intentions are behind my most recent works of art, including the Integral Cinema Project's new Art-in-Motion Series. Both the origins and intentions are multi-layered. 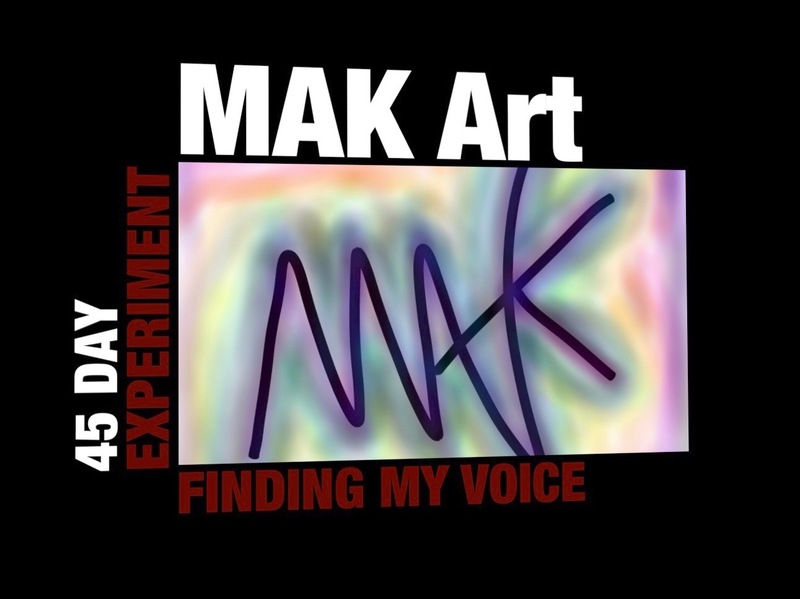 In terms of origin, the deep origin of my current and past creative work is and always has been connected to my becoming a stutterer as a young child and using art as a means of communicating without words. In essence, my creative work became my voice. The more specific "origin" of my more recent stream of creative works began back in April 2017 when I decided to do an experiment of creating a work of art every day for 45 days. The goal was to see if I could deepen my self-owning of identifying myself as "being an artist"...something that I have struggled with for most of my life. The 45-day time-frame was from the book Habits of a Happy Brain by Loretta Graziano Breuning. In the book Breuning explores how it takes 45 days of repeating a pattern (activity, behavior pattern, for instance) for it to begin to feel natural due to the laying down of the neural pathways for the pattern within the brain. As part of the experiment I also recorded a video journal every day where I explored and reflected on my process. I used video journaling to see if I could learn to feel more natural in front of the camera. As a stutterer I have always had some degree of discomfort using my voice...especially on camera. During my experiment I created at least one drawing per day, these being integrally-informed meditative mandalas and abstract forms arising from different states of consciousness. I also found myself animating some of my drawings, showing the various stages of creation and setting them to meditative audio entrainment music and sound in what I call art-in-motion videos. Somehow my process evolved to include a deepening, expansion and integration of my varied research interests into a daily "lived inquiry" practice. These research interests include exploring integral and transformative approaches to art and media, the experience of inner guidance and the nature of consciousness itself. My experiment was so successful for me that I kept doing a work of art every day long after the 45 day period (until my tablet died in October 2017), for a total of 188 days. During the process I found that doing a creative work every day fed my soul, gave me boundless joy and energy, and became a form of therapy and healing for me. The work evolved into a deep integrally-informed, psycho-spiritual-political creative practice that did indeed deepen my self-identity as an artist. My video journaling appeared to expand my process and helped me feel more comfortable and natural using my verbal "voice" both on- and off-camera. The integration of these practices with my research interests created a vibrant daily existence that filled my being with purpose and joy. As part of my new creative lived-inquiry practice I would start by performing an integral meditation practice I developed and try to connect with the evolutionary impulse or what Jean Gebser referred to as the inner commission that guides our individual and collective evolution. I would then attempt to follow that guidance through my daily explorations of art making and lived inquiry. Through this work I have come to deeply feel and believe that every problem in our lives and the world is a problem of consciousness and our individual and collective development. Because of this my deep intention for my creative and lived inquiry work has become the healing and elevation of my own consciousness and that of the world. BEING or beingness is our Self in the moment; it is who we are when we are being fully present, fully aware and fully who we are in the NOW, in the fluid NOW, for the NOW is any given moment within the STREAM of individual and collective consciousness. BELONGING is our beingness in relation to the beingness of others and the world. It is our awareness of our interconnectedness with that which appears to be outside of ourselves in various relational and spatial FIELDs of consciousness. BECOMING is our evolutionary journey; it is our awareness of the whole stream and its place within the ocean of streams. It is where we have been, where we are, and where we are going along our own individual arc of consciousness and within the greater collective evolutionary ARC of humanity. If you check out the intro and day 45 journals you can get a pretty good idea of the intentions and the results. And for those who want to check out all 188 works of art you can find them on my Tumblr blog or Instagram feed. If you are touched by my work and would like a print of one of my pieces check out my Artpal page for print options. If you cannot find the piece you want on Artpal, you can contact me directly at arcofconsciousness@gmail.com and I will make it available for purchase on Artpal for you. And finally I would like to express my deep gratitude for Mr. Lietso, my 7th grade science teacher, who threatened to haunt me after he died if I did not live my life as an artist; to Jill Mellick, who taught me how to use art for personal and collective transformation; to Ken Wilber and Michael Schwartz for inspiring me to explore an integral approach to art; to fellow artist Jimmy Lusero for re-awakening the artist in me after years of creative slumber; to dear friend Jonathan Steigman and my amazing sister Mardi who gave me shelter while I did this experiment; and to all my friends, family members, colleagues and strangers who bore witness to my journey and gave me their wondrous words, likes and emoji’s of affirmation along the way. Researcher: Mark Allan Kaplan, Ph.D. 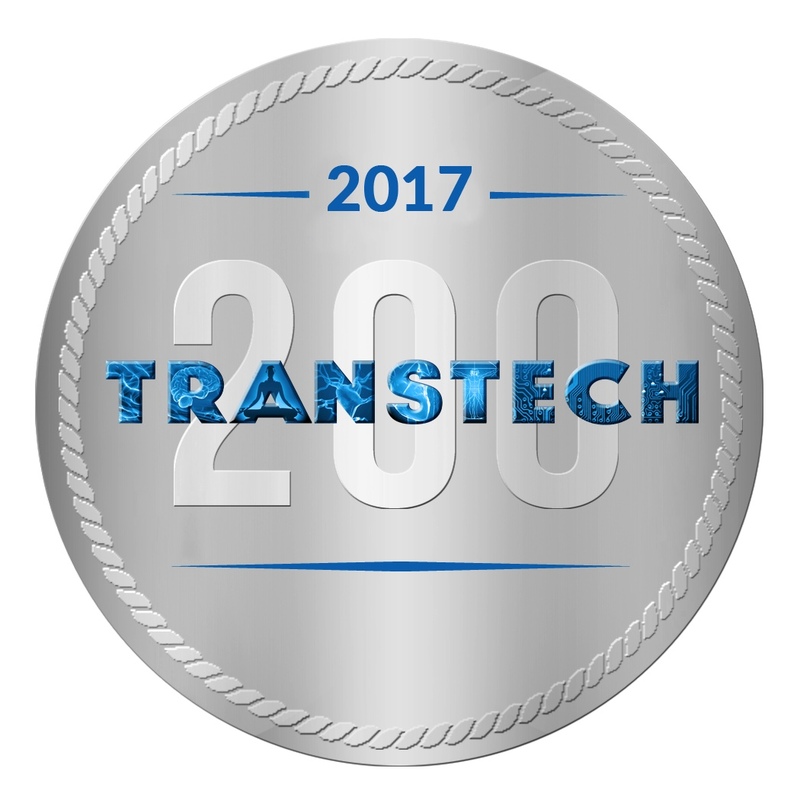 The Integral Cinema Project (ICP) has been chosen as one of this year's TransTech 200, a list that highlights the key innovators, makers, researchers, influencers, organizations, scientists and entrepreneurs who are expanding the known limits of human thriving in the emerging field of Transformative Technologies. We are deeply honored to have been recognized for our efforts to apply Integral Theory to the domain of moving image media, from film to VR, AR and other transformative Perception Technologies. We look forward to deepening our contribution to the TransTech movement as we continue to map the transformative capacities of various moving-image-based TransTech mediums and platforms, with the goal to develop content creation technologies to help enable TransTech creators to more precisely use their medium to target a particular transformative effect. These include inducing various states of consciousness, shifting perceptual constructs, assisting in emotional and psychological healing, and catalyzing shifts in stages of individual and collective human development. 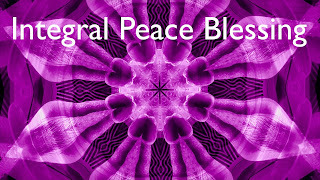 The Integral Peace Blessing is an integral cinematic experiment playing with an integral peace blessing I discovered. I say "discovered" because it just came out of me during the recording of one of my lived inquiry research video journals. I have been contemplating what an integrally informed peace practice would be like for some time and this emerged organically out of that process when I began to use the phrase "peace out" that I picked up from hanging out with some young "more hip than me" folks. This unfolded into me organically using four variations on the phrase..."Peace Out, Peace In, Peace In-Between, Peace all Around." It was only after this arose out of me that I realized the four variations perfectly fit into the four quadrants of Integral Theory...Peace Out = Peaceful Actions (UR/Behavioral), Peace In = Inner Peace (UL/Psycho-Spiritual), Peace In Between = Peaceful Relations (LL/Relational), Peace All Around = Collective Peace (LR/Systemic). 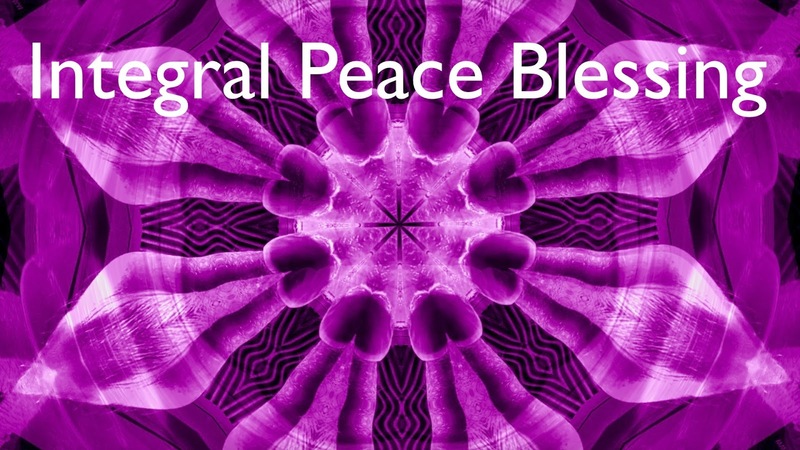 After this revelation I then used an integrally-informed editing practice I have been developing to play with the section of the video journal where this integral peace blessing emerged. When I meditated on the video segment I attempted to allow an integrally-informed stream of consciousness state to guide me in the process. What unfolded was a layering of multiple visual and auditory effects to create a visual peace meditation-type experience. After completing a first draft of the short piece I sensed a need to add audio entrainment music to take it to the next level. I played with several tracks from the iAwake Technologies' collection that seemed peace oriented and a short section from the "Healing Light" entrainment track seemed to organically fit with the visuals. For this final draft I expanding the piece by repeating the blessing several times, changing the color tinting so that the visuals move through the color spectrum. At the same time I added an audio effect to voicing of the blessing to give the sense that the voice expands into a larger and larger spatial reality with each expression of the blessing.